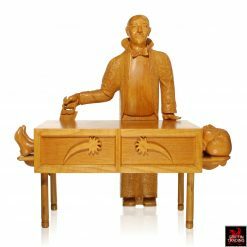 One-of-a-kind Folk Art mechanical art assemblage. Watch the video and see Old Glory wave. 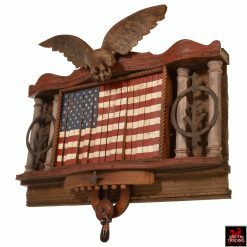 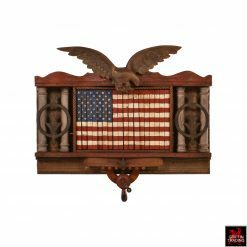 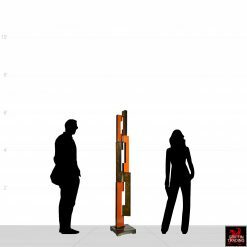 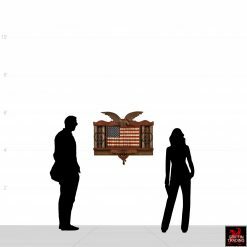 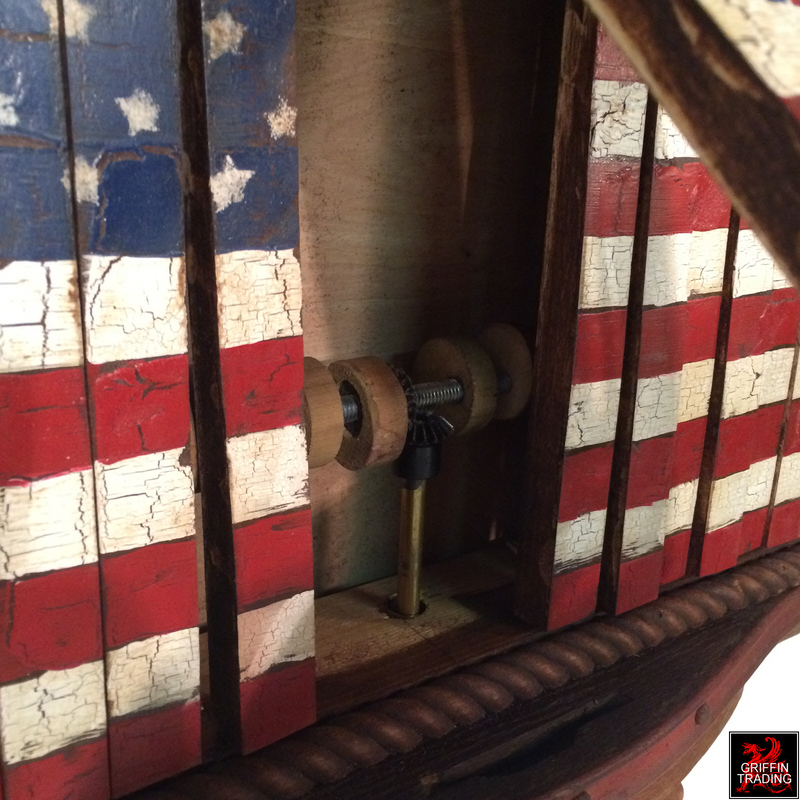 Forever She Waves 2 American Flag assemblage art is a mechanical surprise from Van Dusen Clockworks. 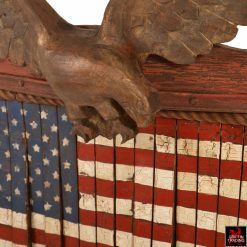 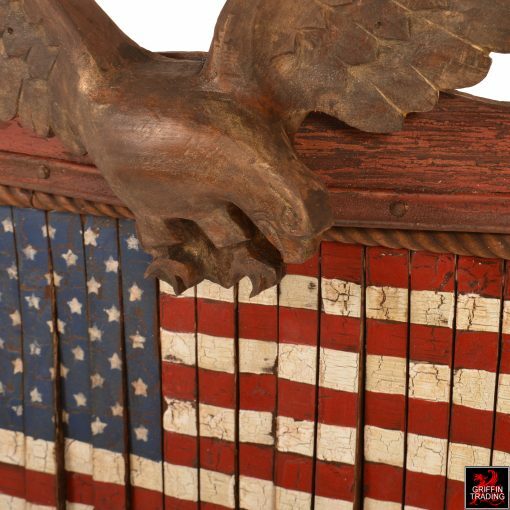 Standing guard over the American Flag Old Glory, is a hand-carved Eagle with 25″ wingspan. 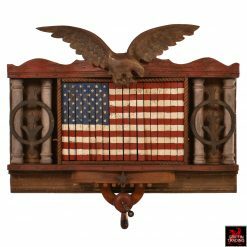 That’s just one of the many components and features that make up this unique Folk Art wall hanging. 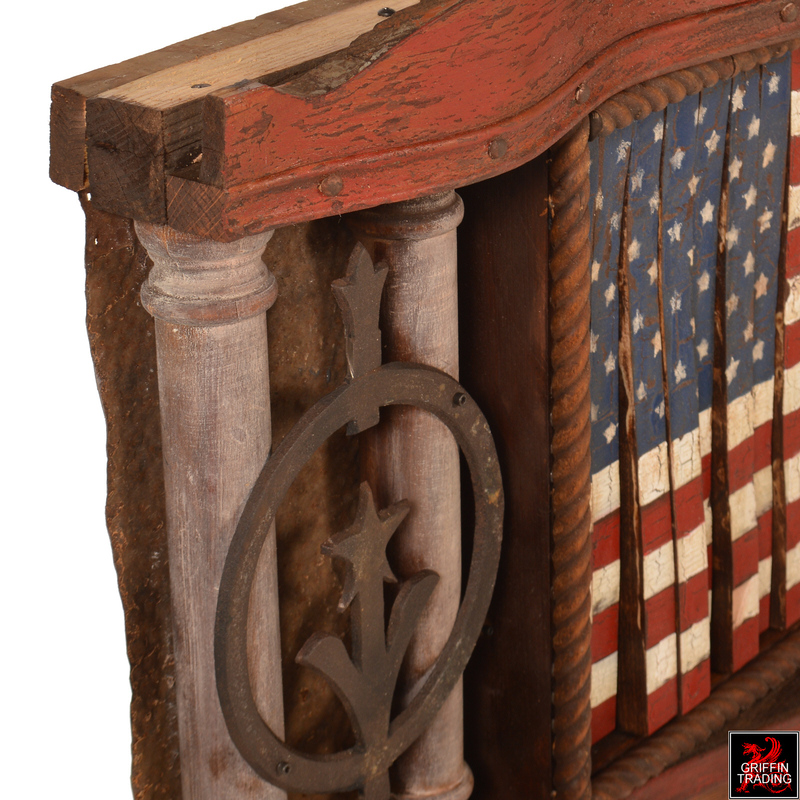 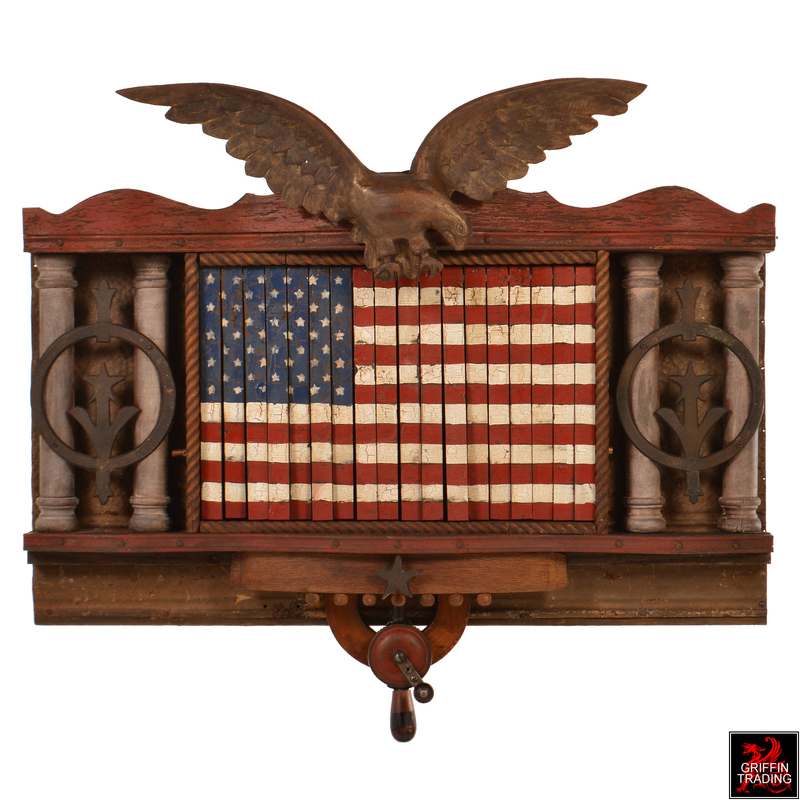 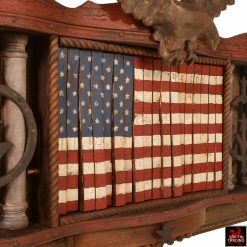 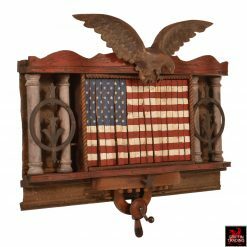 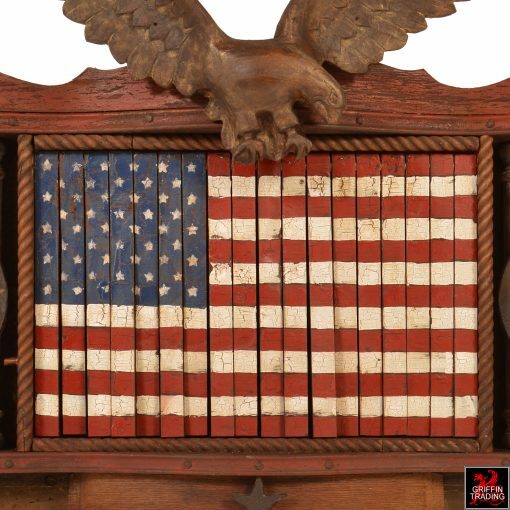 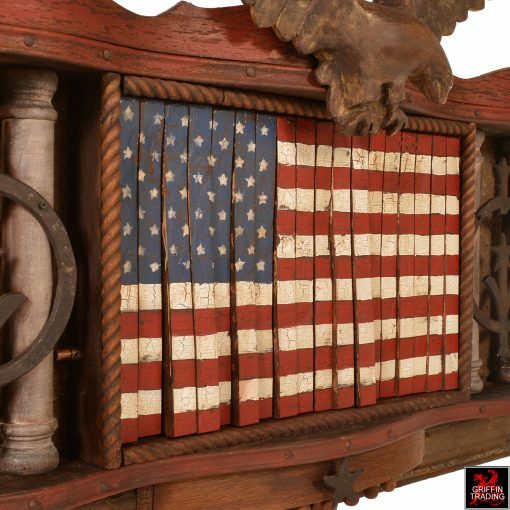 The most amazing part of this one-of-a-kind American Flag assemblage art is its mechanical waving flag. That’s correct, by cranking the antique drill mechanism just below the flag, Old Glory starts to wave as if she is blowing in the wind. 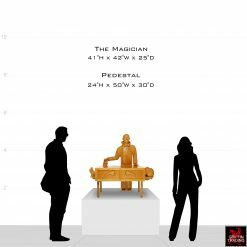 The effect is truly spectacular. 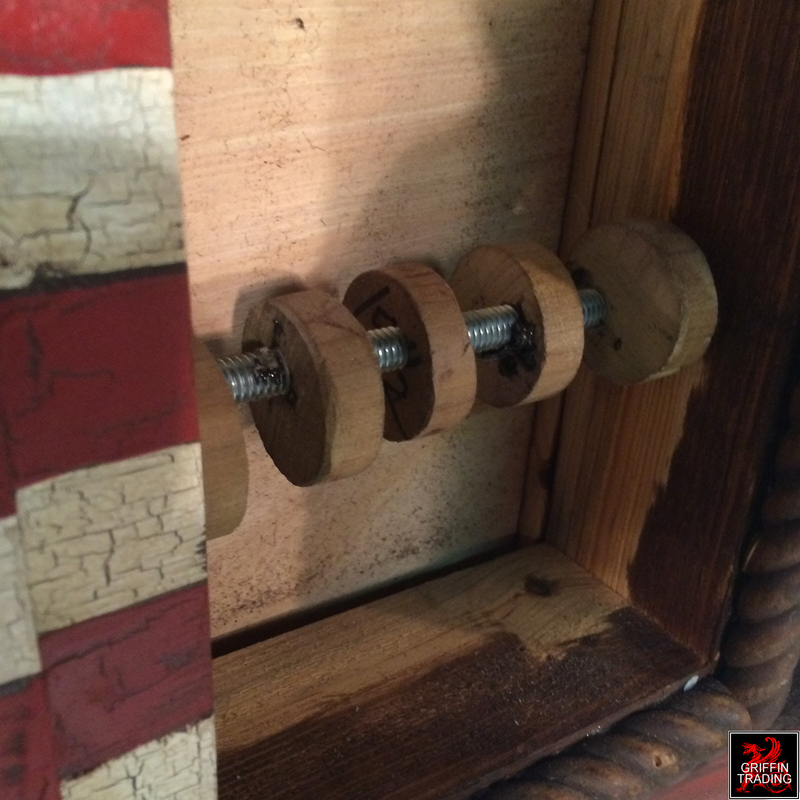 Made from vintage and found pieces this wonderful piece of Americana is from the duo at Van Dusen Clockworks. With their love and appreciation of folk art, they once again have assembled a variety of pieces and skillfully carved and painted others to create this patriotic treasure. 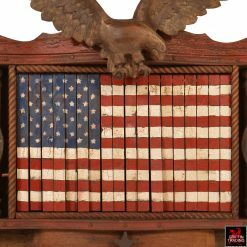 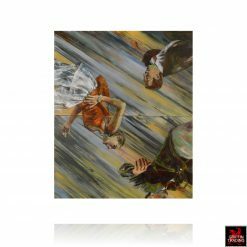 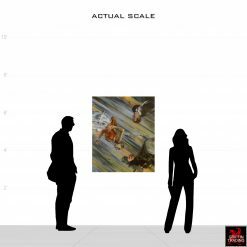 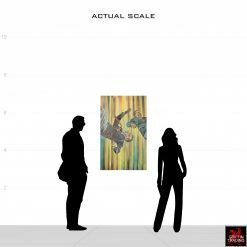 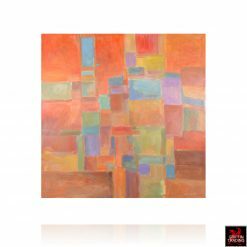 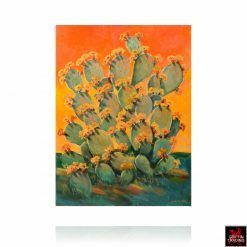 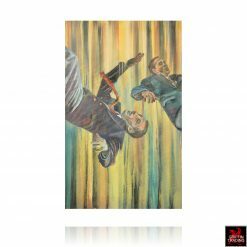 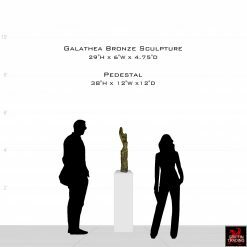 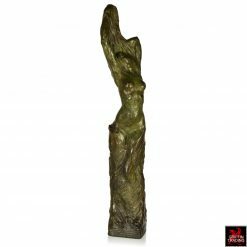 As an American, you would be especially proud to display this phenomenal work of art in your home. 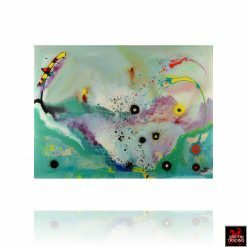 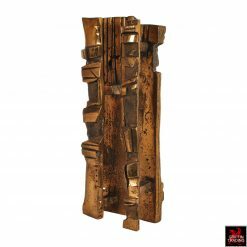 The piece has the artist signature and nameplate attached. 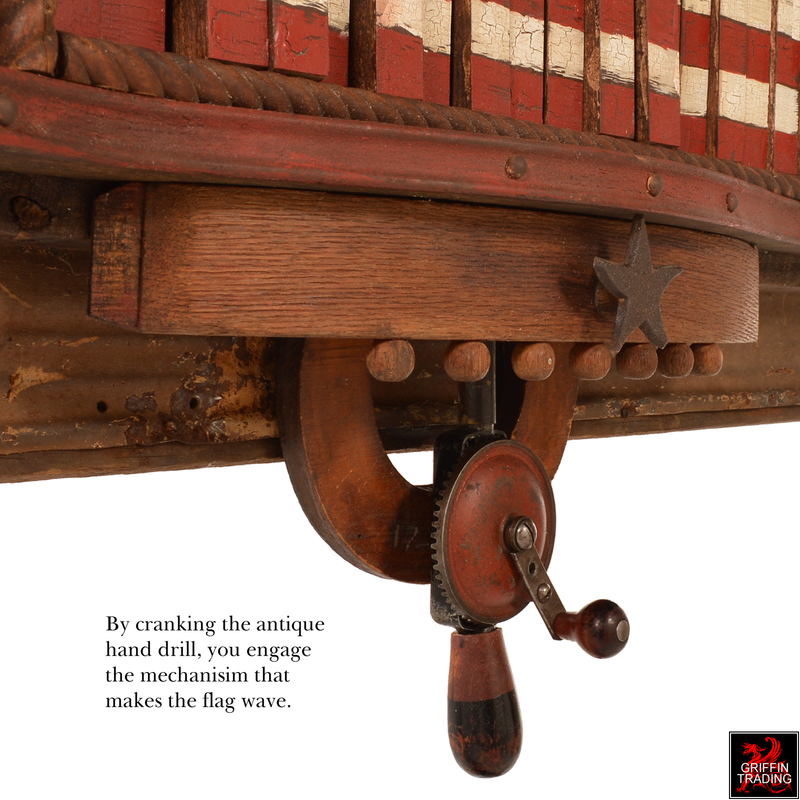 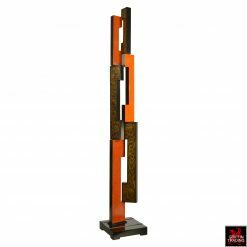 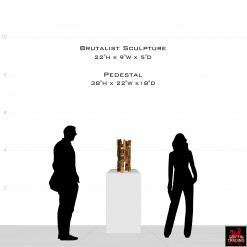 MATERIALS: Hand carved pieces with assemblage of vintage and antique objects. CONDITION: Excellent condition with the antique and vintage pieces having minor wear consistent with age and use.